A man has been arrested in connection to a series of thefts in Warwick. 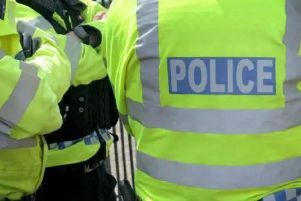 The police have arrested a local man in connection to a number of thefts from cars on the Woodloes Estate during the evening of January 13. A number of items were recovered from the man’s address. The police have said that it appears that the man steals predominantly from vehicles, which are routinely or accidentally left insecure. Amongst the unidentified items that were recovered there are watches and sunglasses. Anyone who believes they may be a victim of theft from their motor vehicle over recent weeks is asked to contact officers on the Patrol Support Unit at Leamington Spa Police Station. To contact the officers call 01926 684246 or 01926 684277 between 8am and 6pm.